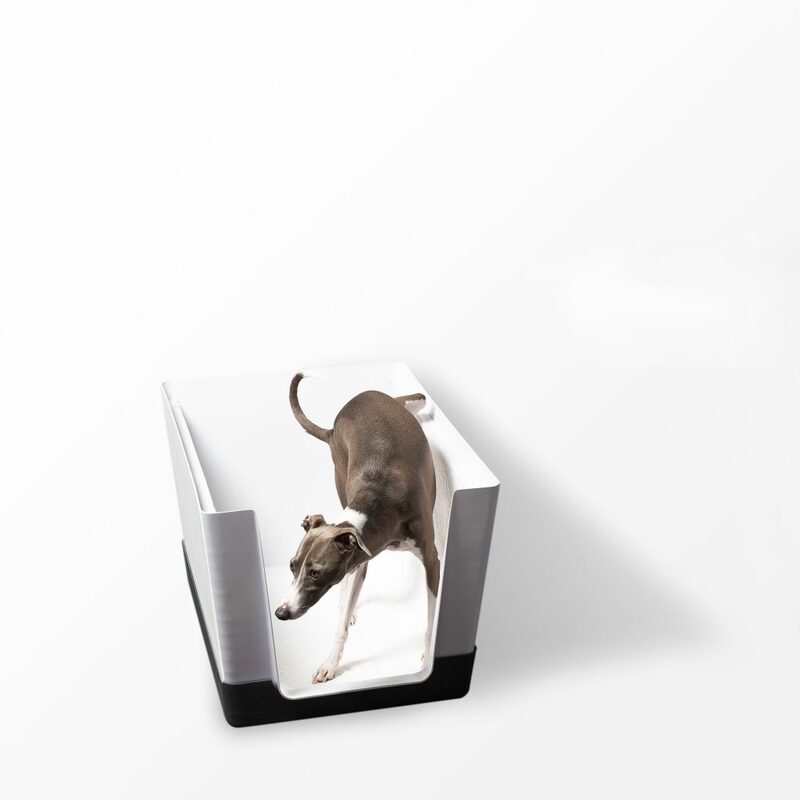 We couldn’t help but write about this design when we saw it: The Doggy Bathroom, from Canadian designer Alain Courchesne. It is billed as “the only indoor potty solution that efficiently works for small dogs and is stylish enough to blend seamlessly with any décor”. The Montreal-based start-up recently launched pre-sales on Kickstarter after its much-anticipated reveal at SuperZoo Expo in Las Vegas last June. It is a rectangular, plastic enclosure that holds pee pads horizontally and vertically so that a small dog (20lb or less) can fully extend his leg in order to pee and/or eliminate solid waste. It is designed to be indoors but can also be placed outdoors in a covered area, used as a potty-training device, as a seasonal solution for small breeds who cannot withstand the cold winters, or as a permanent solution for senior dogs who can’t make it outside in time. It’s also ideal for travel and hotels or cottages.